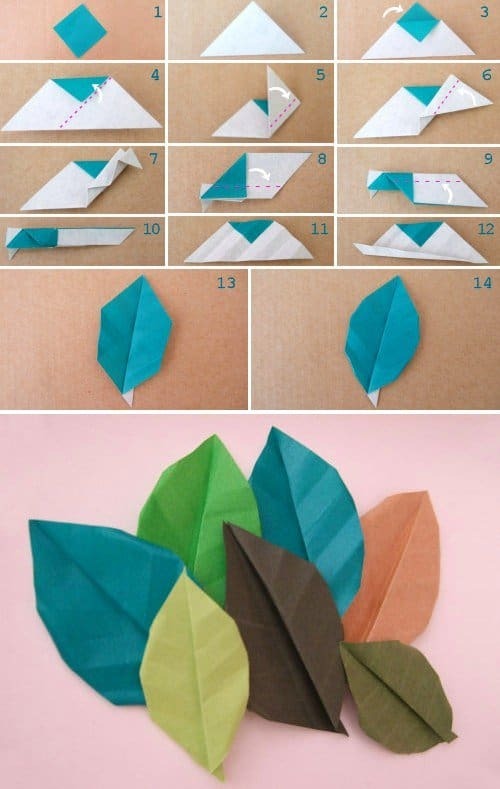 Use this handy instruction guide to create beautiful origami leaves for your wedding. Spread them out over the tablecloths or hang from fishing line to create beautiful “floating” look. You can create these gorgeous origami flower “pots” and use for centerpieces at your tables. They’re fun to create and don’t take a ton of time. Call the girls over and have a lot of fun together creating these beautiful flowers. You could use this fun dress for a number of wedding projects. Include it in your invitation or make little wedding favors using this pattern. It’s easy to make. 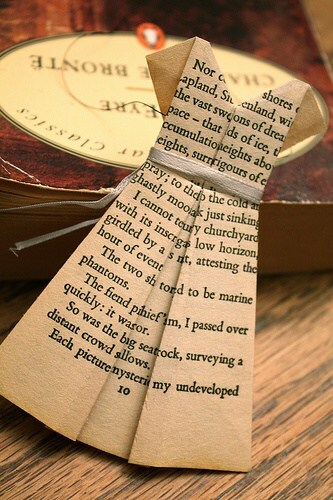 In this picture, they’ve used old book pages, but you can purchase special origami paper. Want to send your invitations in a super special way? 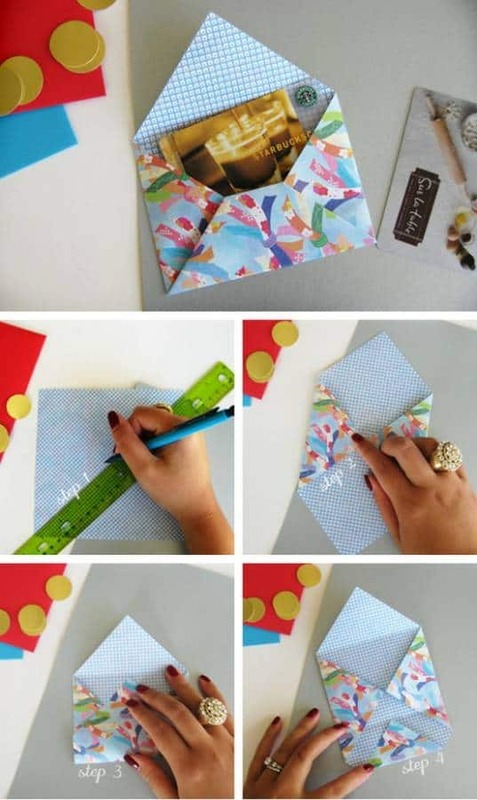 Create this fun and beautiful origami envelope and place your invitations inside. It couldn’t be easier to create this one and you’ll really impress the recipients. Create these tiny stars and attach to ribbon for a beautiful wedding garland. They’re easy to create and look incredible when you’re done. Using these tips, come up with some fun and unique origami wedding décor ideas. Perfect ideas! Thanks for sharing!